Charles Weygant, The Sacketts of America, "6728. 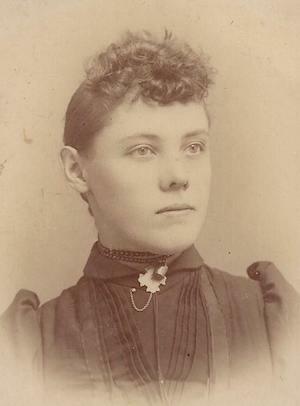 Harriet Selima Sackett, b. Nov. 16, 1866." 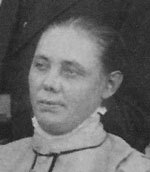 "Illinois Death Index 1908–1988", database, Ancestry.com, "Bandy, Harriet Salina, b. Woodville, IL, 15 Nov 1866, d. Carrollton, Greene, IL, 18 Aug 1932, bur. City Cemetery, Carrollton, 21 Aug 1932, age 65, housewife, father Edward Sackett, mother Mary E Bradley, spouse Robert C Bandy." 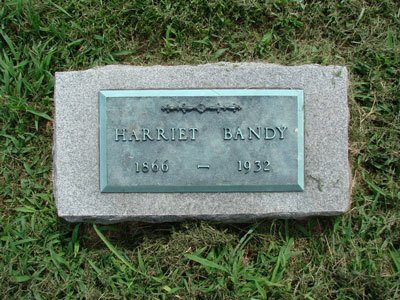 "Illinois, County Marriages, 1800–1940", database, Ancestry.com, "17 Dec 1900, Greene, Illinois, Robert C Bandy, 39, father Thomas Bandy, mother Julia A Looper; and Harriet S Sackett, 35, father Edward C Sackett, mother Mary Bradley." Bandy, Alice, dau, 6, b. IL, father b. IL, mother b. IL. Bandy, Annis, dau, 16, b. IL, father b. IL, mother b. IL. Bandy, Alace R, dau, 26, single, b. IL, father b. IL, mother b. IL.